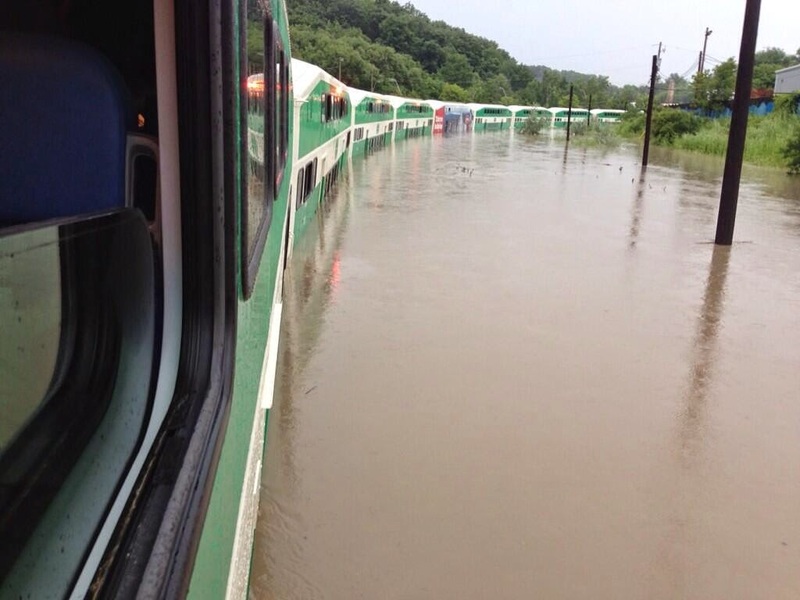 This morning's torrential rain has caused mass chaos on the Lakeshore East line with tracks under water between Rouge Hill and Pickering GO Station. Anyone have any real pictures of the track flooding? It lasted about an hour but no reported "snakes on a train" with this one. I'm still trying to figure out where it is between Rouge Hill and Pickering that the rain got high enough since most of it is elevated from the rivers in the area. Oh the memories of that day! I still panic every time I see heavy rain before leaving work. Subliminal, I am also looking for more information on this. Also looking for the time that it supposedly happened. Merrily, merrily, merrily, merrily, Life is but a dream." Has anything even been done to the instruction to prevent this from happening again ? Um no.